Definitely regards to more unreleased stuff. I don't think the 001 box was value for money considering the amount of tracks included. It was better value as the 2 cd set but the extras on the big box was paltry by cimparrison. Still, it's nice to have some of that previously released stuff all on one disc though, said the physical format guy. Yep I agree. The two disc set no book etc was great value for money but the big box had very little music other than the 7" and the tape which is only 3 more tracks. Sure you get all the vinyl etc. But only 3 more songs is paltry. That's why I just got the book version. The right two columns of tapes compiled by Gaz Mayall. I've got some of Gaz's rockin' blues stuff really great. I'm sure Joe would've been a fan of his dad John. Not his complete collection, however. Curiously, the photo doesn’t include the “US North” cassette. can anyone make out what the Clash tape is? Where are you looking, aza? Also, dig the Hellboys cassette in the first column! ‘The Jamming City Battle’ (or ‘Rattle’?) according to a snapshot I took. 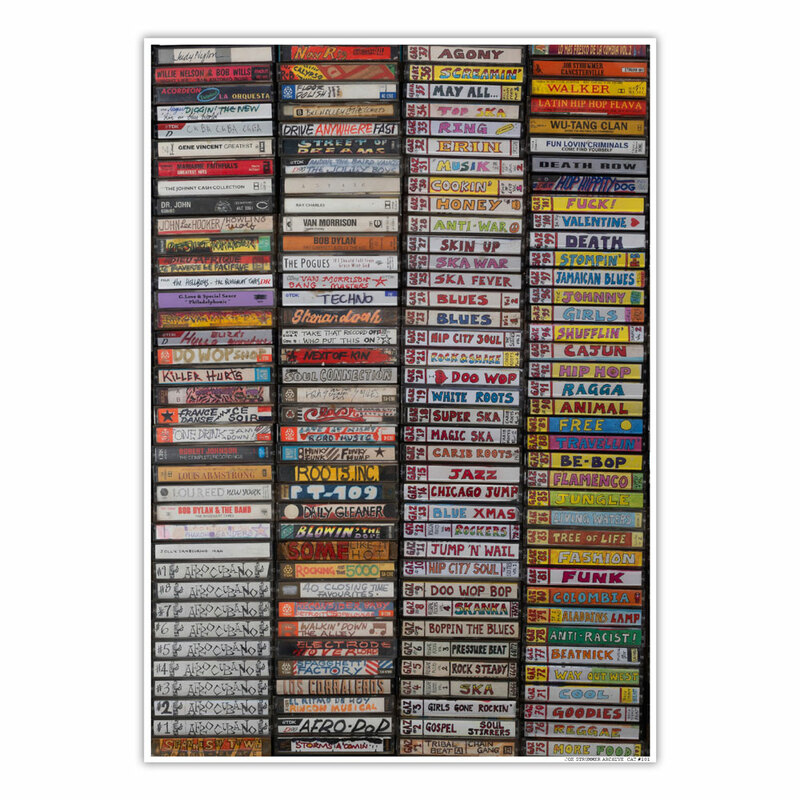 These cassettes were all in a display case at that pop-up exhibition in the Fred Perry store plugging the box set- tons note than in the poster.